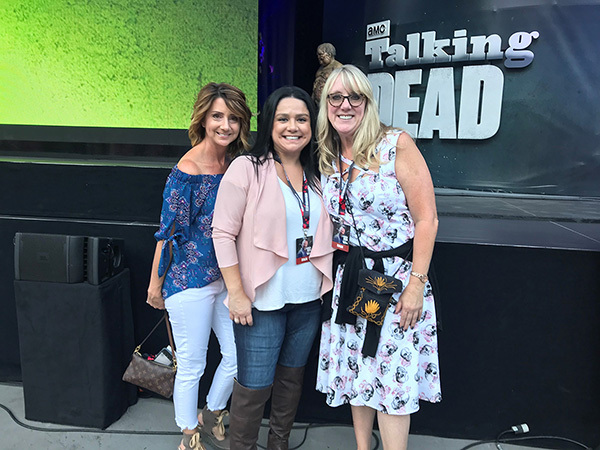 Several members of the WB Sound department joined the cast, crew and fans for the Season 8 premiere at the Greek Theatre. “The Walking Dead” is posted at Warner Bros Sound Burbank with Supervising Sound Editors, Ben Wilkins and Mike Marchain and Re-Recording Mixers, Dan Hiland and Gary Rogers. Don’t miss Season 8, episode 2 airing next Sunday, October 29th 9pm/8pm Central. See all the fun from the premiere event at https://www.facebook.com/WBSound/.